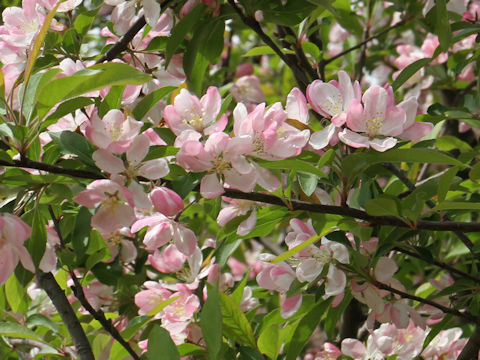 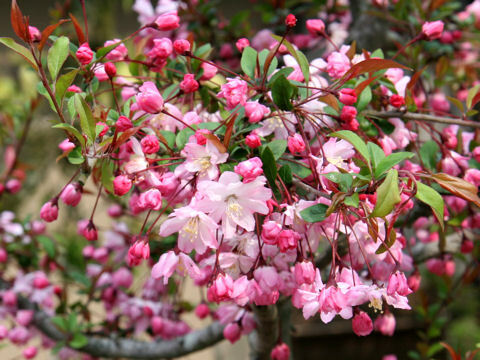 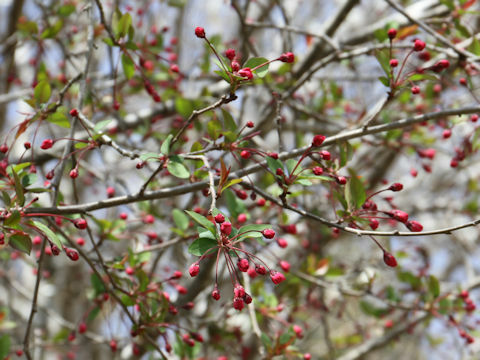 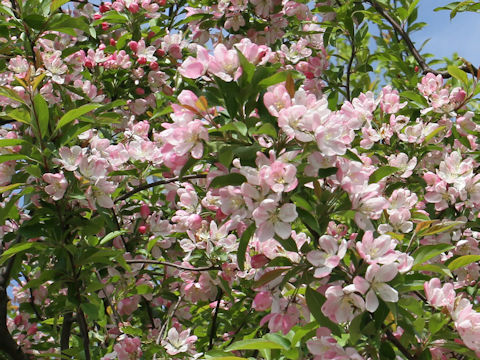 Hall's crabapple (Malus halliana) belongs to the Rosaceae (the Rose family). 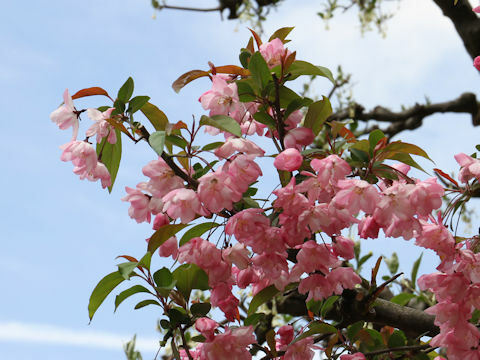 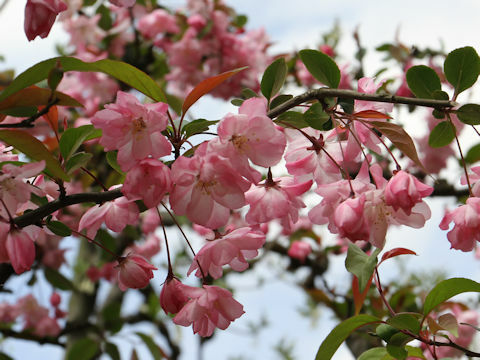 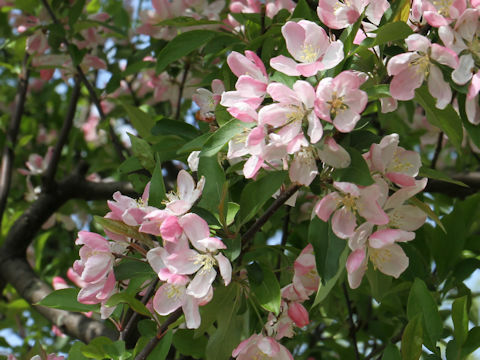 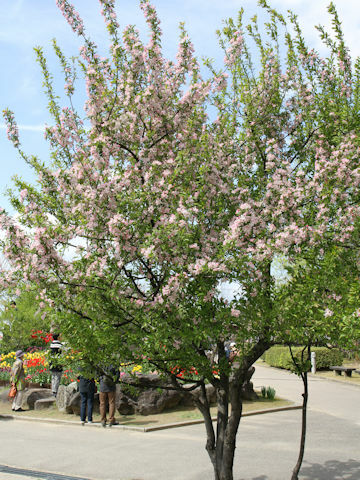 It is a semi-tall deciduous tree that is native to western China. 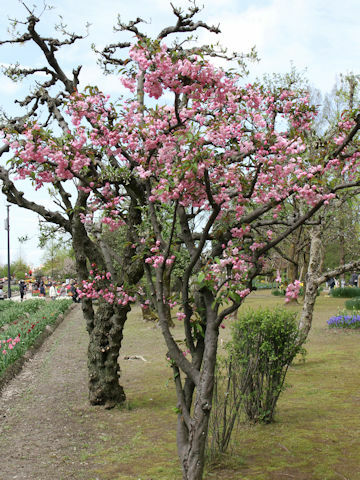 This tree can reach 5-8 m in height with smooth and gray barks. 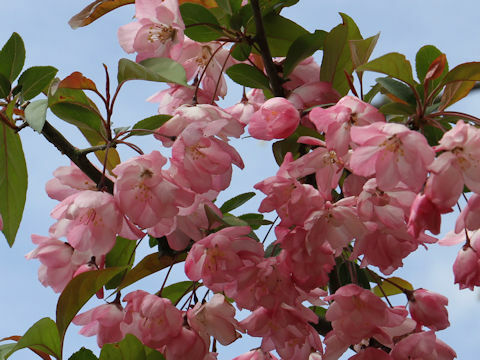 The leaves are elliptic, opposite and petiolated. 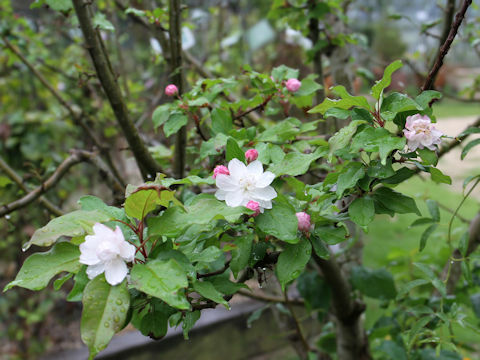 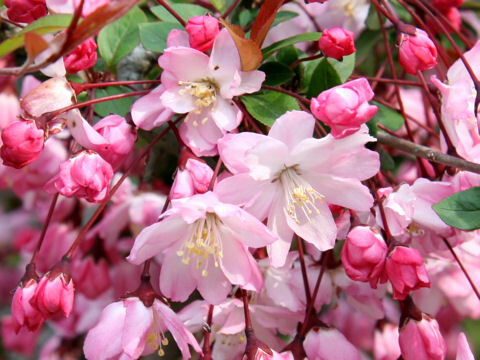 Pale rose-pink flowers come in April and May. 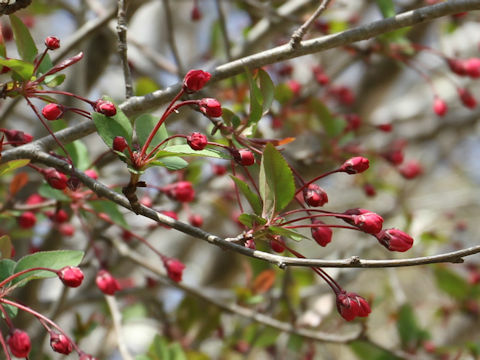 The fruits are pomes and ripen yellow in fall. 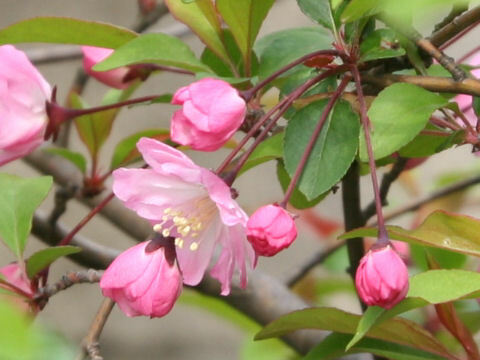 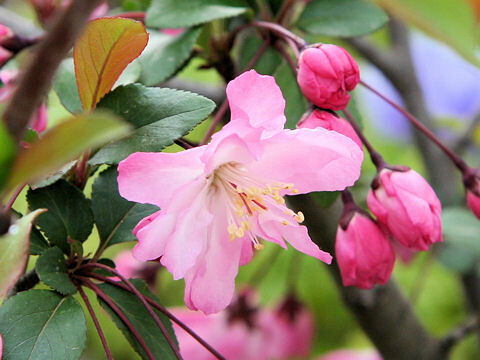 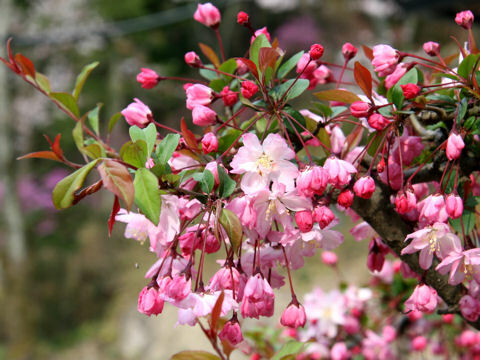 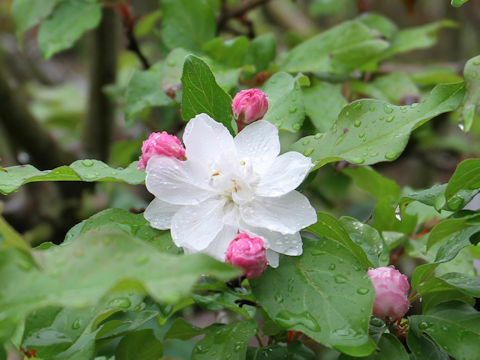 This flower are likened to "the appearance of Yang Guifei who's intoxicated with alcohol and slumbering" in China.